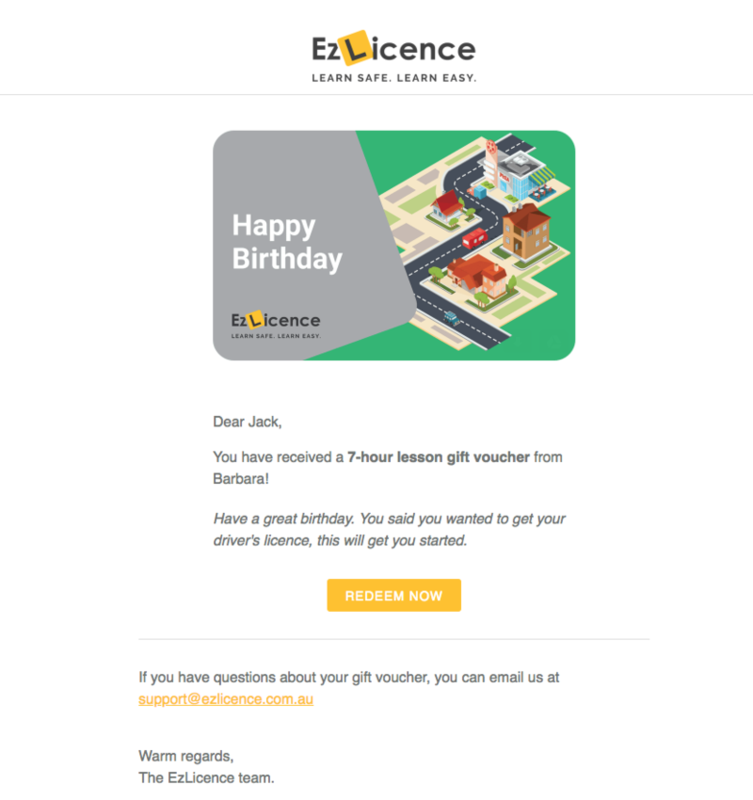 How do I purchase a driving lesson gift voucher? You are able to purchase driving lesson gift vouchers here. Once on our gift voucher homepage, simply click on 'SEND A GIFT VOUCHER', complete the voucher details (sender, recipient, message etc) and make your payment. You select how you want the gift voucher delivered, your options are SMS, email or both. Gift vouchers are sent to the recipient instantly. Your recipient receives their gift voucher by SMS or email and is invited to create an account with EzLicence online. Their lesson voucher will be credited to their account upon sign in. Account creation only takes a couple of minutes. If you have purchased a gift voucher for an exisiting EzLicence customer, upon reciept of the gift voucher by email or SMS, they are invited to sign into their EzLicence account, at which point their gift voucher is automatically credited to their account. With the largest availability of driving instructors in Australia, we are the best place to buy your driving lesson gift voucher. Your recipient can create their own profile, choose from the available driving instructors and then make their own lesson bookings online.